Eight University of Central Florida students are researching & fundraising to implement eight unique projects that benefit the people and wildlife of South Africa. By purchasing one of these products you are contributing to these efforts. Read more below. 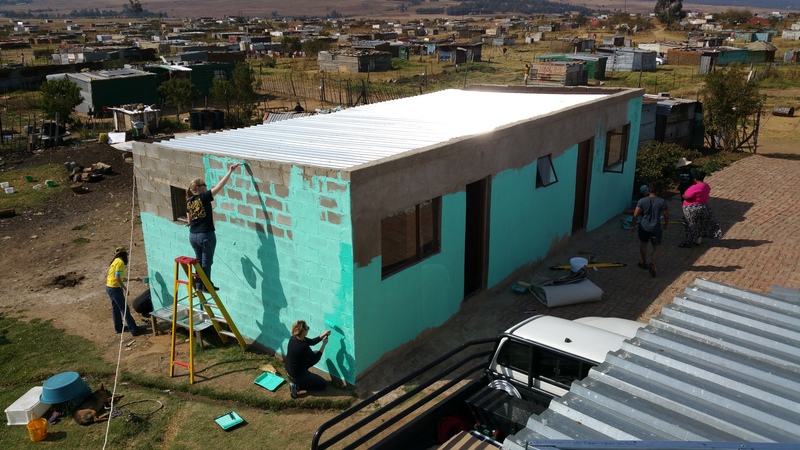 UCF students have built on their philanthropy efforts in South Africa by making the trip annually since 2013, and this year is no different! A dedicated team of eight UCF students is working hard this year to continue making a difference in this country. The projects for 2016 include health lessons and supplies for the small, impoverished town of Intabazwe, educational supplies and wind turbine repairs for the local Nkosinathi Community Center and orphanage, and supporting animal conservation efforts on the Nambiti Game Reserve such as continuing an ongoing leopard research and anti-poaching projects for the South African white rhino. Please consider supporting us in this cause! UCF students building a solar power system for the Nkosinathi Community Center and Orphanage in 2015. This year we hope to build off these energy conservation efforts by making repairs to a damaged wind turbine for the Nkosinathi Community Center. UCF student installing leopard research cameras this past summer. This year we plan to progress the research efforts by fundraising for additional game cameras and conducting research in our time there! Clothing being distributed to the children of the Nkosinathi orphanage. Personal hygiene supplies being distributed to the local townspeople in Harrismith, South Africa. We plan on bringing multiple Project Cure health supply boxes this year and giving a seminar on hygiene and health! Students working to construct a new building for the orphanage and Community Center. Their efforts included building one functional restroom. This year we plan on installing a gray water drainage system to redirect the plumbing from this bathroom further away from the children's outdoor play areas. A rhino from the Nambiti Game Reserve. One of this year's projects includes the funding to save two of these endangered creatures from the huge threat of poaching. Our students enjoying spending time with the children of the orphanage last year. This year's trip can't wait to meet everyone and leave an impact during our 4 weeks of service!